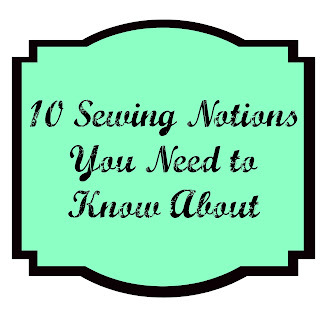 Over the course of the next ten weeks, I'll be introducing you to ten fantastic notions that you'll be wishing you heard about sooner. 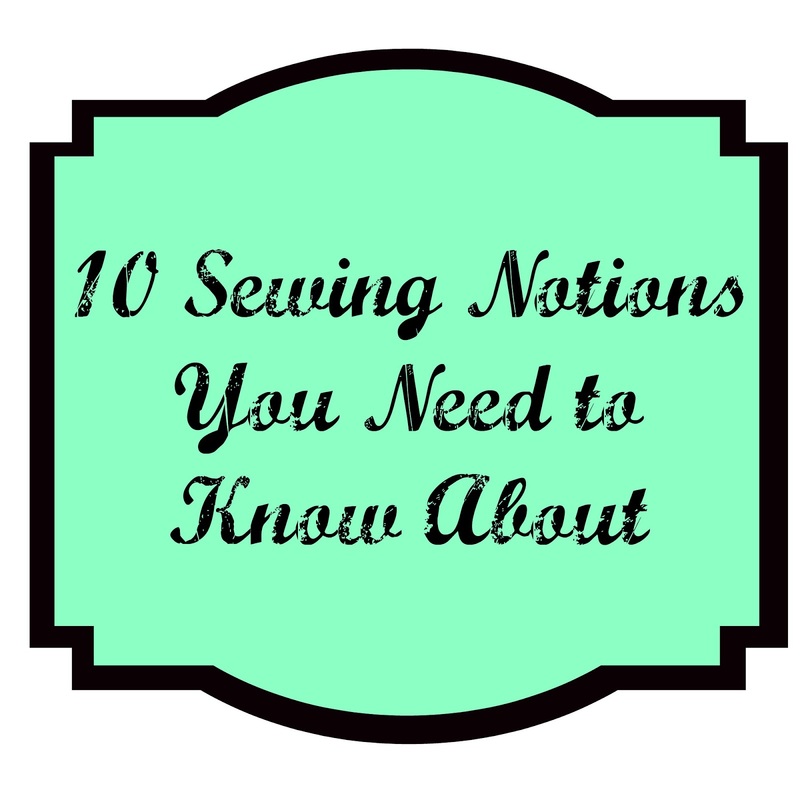 These wonderful items will make your sewing life easier and more enjoyable. While I know it's not advisable to get fusible on your iron, I seem to always manage to get my iron all sticky in spite of my noble intentions. I've previously attempted a myriad of solutions ranging from scraping it against the edge of my ironing board cover in a vain attempt to displace the goo, to creating wisps of potent and inadvisable-for-breathing smoke derived from a drier sheet. Unfortunately, none of these was as effective in removing the sticky residue as my husband's brand new dress shirt. Ooops! That was before I discovered the Clover Iron Shine Cleaning Pen. It just so happens that I'm working on an appliqué project at the moment. While it remains to be seen whether my finished work will be identifiable as a pronghorn, I do know my iron (and the family dress clothes) will come away unscathed. I'll show you! First, I gunked up my iron really well. I stamped it right into Steam-A-Seam II Lite and then melted it on for good measure. (Do not try this at home.) Go figure, the only time I don't have a mis-step regarding the successful use of parchment paper (a great product for creating a barrier of safety between your sole plate and fusible) is when I'm prepping to put Iron Shine to the test. See how great I am at making an icky mess? I emptied the water in my iron, turned the temperature to low, and gave my iron the rub down while compressing the Iron Shine Cleaning Pen tip. Conveniently, the more you push, the more cleaner is released to deal with the mess. After less than a minute of scrubbing, I gave my iron a once-over with a wet rag to reveal a perfectly shiny sole plate. I also was able to remove all the massive amounts of fusible debris the pen had collected by gently rubbing the tip off with a wet cloth.The Clover Iron Shine Cleaning Pen was even able to remove some hard water deposits and black singe marks that had established themselves prior to the intentional defilement of my iron via fusible. Based on my little experiment, I can attest to the pen's ability to remove anything you manage to burn onto it. I advise adding the Clover Iron Shine Cleaning Pen to your collection of notions, as it costs much less than replacing an article of clothing that gets wrecked by residual goo, and it'll save your project from the heart-wrenching possibility of getting fusible stuck to it where you didn't intend. Now, if I can just remember not to place the fusible on the right side of the fabric, and to reverse all my pieces, I'll be golden! I'll see you next week, when I unveil another item you'll want to add to your holiday wish list. Great post idea, Afton! I'm going to have to try this pen out. Thanks for taking one for the team by gunking up your iron, lol. Having just started experimenting with fusible interfacing, I'm definitely going to order one of these pens. Now, I don't have much danger in ruining any clothes as I hardly ever use my iron for pressing clothing! Thanks, Afton. I look forward to finding out about the other nine fantastic notions. Take care, Mary. Luckily I never iron clothing with my iron! Irons are always collecting gunk on the sole plate and after a while it's a hot brown mess! Thanks for the info on this pen and I can't wait to see the other must have notions! thanks so much for the tip! I have an iron in my sewing room and one downstairs that I use for clothes. Both get dirty. I've bought other cleaners in the past but they don't do a great job. Good info! Does the cleaner give off much of an odor when you use it? My DH has asthma and I have to be careful about anything airborne and scented. Thanks. I'm mixed baking sofa and salt with water into a paste.... some scrubbing, but pretty good! May work for those sensitive to fumes. Soda! Siri... I know what I mean! !